Leave a comment on THIS post by 6 p.m. CT Tuesday, October 13, 2015 to be entered in the DRAWING for an eBook copy of the book below. If you mention in your comment that you’re a follower (see in the left sidebar “Join This Site” and “Follow by Email”), I'll add your name a second time in the drawing. U.S. mailing address required to receive a paper book. Read book giveaway details at Disclaimers. To provide you security, please leave your email address like this: johnATyahooDOTcom. Winner announced in next Thursday's blog post. Teresa Ives Lilly lives in Texas with her husband, near her grown children. 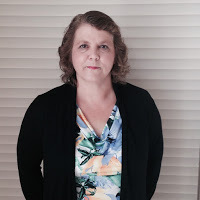 She loves to write Christian Historical Novellas, although she dabbles in contemporary as well. You can see all her books at her blog. She loves to hear from her readers at her email address. Welcome, Teresa, what do you enjoy doing for relaxation? Having cook outs with my family. I have an upstairs guest room where I have my desk for writing at night. Please tell us a little about your novel, Cooking Up Christmas. for Benjamin Capel, she moves to Angel Vale, Wyoming, eager to begin working in the town’s eatery. Although happy with her job and attracted to her husband-to-be, she discovers that Benjamin has several secrets. What does he do for a living, why does talking about money upset him so much, and who actually owns the Angel Vale Eatery? Will these questions be answered so she can freely say I Do or does God have a different plan for her life in Angel Vale? 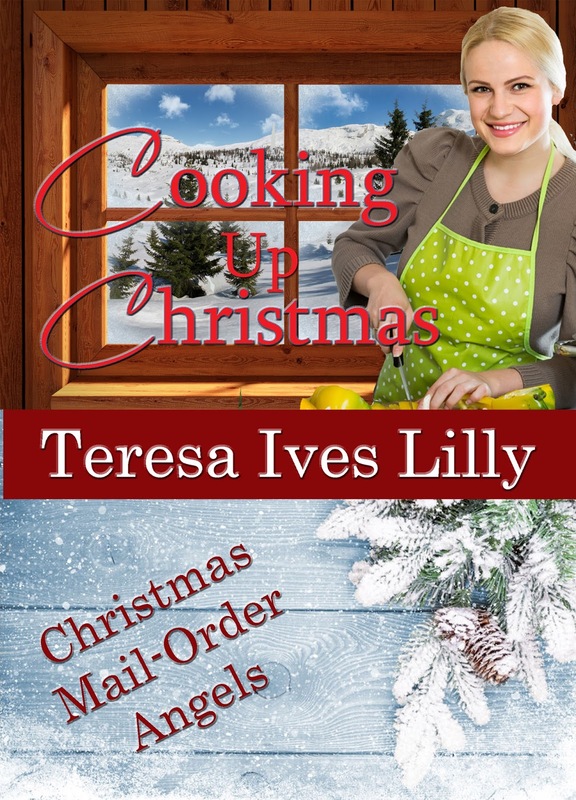 Where can readers purchase Cooking Up Christmas? This book is part of a series. The plot line was created by Darlene Franklin and begins in the book called Jacob's Christmas Dream. It is well worth reading that one as well. Thank you, Teresa, for visiting with my readers and me. 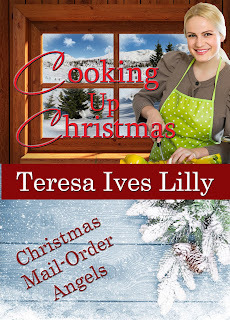 One of the commenters will win an eBook copy of Cooking Up Christmas, which you've offered. The winner of last Thursday’s blog post for a copy of Mercy's Rain by Cindy Sproles is Nancy. I’ll email you. Thanks all for commenting. Watch for more book giveaways. Sounds like Henrietta needs to do a little more questioning of her intended before she gets married! Patty, thanks for stopping by and leaving your comment. I am so ready for some Christmas stories! This one sounds good..
Deanna, yes, Christmas books are showing up everywhere. Thanks for commenting. I love interviews by authors. I look forward to reading novella. Linda, glad you enjoyed the interview with Teresa. Thanks for commenting. This sounds great. I love that Bible verse. Karen, thanks for commenting. I appreciate you following my blog! Allie28, glad you follow my blog! Thanks for leaving your comment. Sonja, thanks for following my blog and for leaving your comment! Ann, thanks for following my blog! Hope you find that peaceful quiet time.